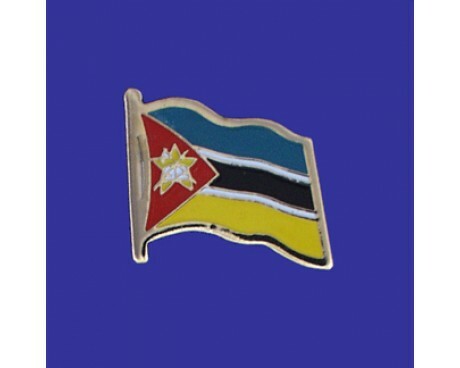 A Mozambique flag for sale is almost always going to be one of the most distinctive flags in the shop. 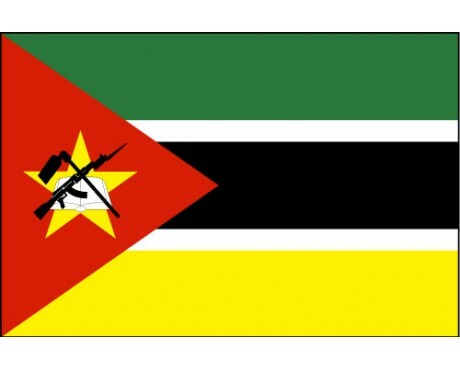 It is one of only two flags in the United Nations that depicts a firearm, and that image combines with its color scheme to make the Mozambique flag very easy to pick out in a crowd. It is far from the first flag to represent Mozambique on the world stage, and it similarities to the previous flags means the Mozambique flag is as much a piece of living history as it is a symbol of the nation and its people. 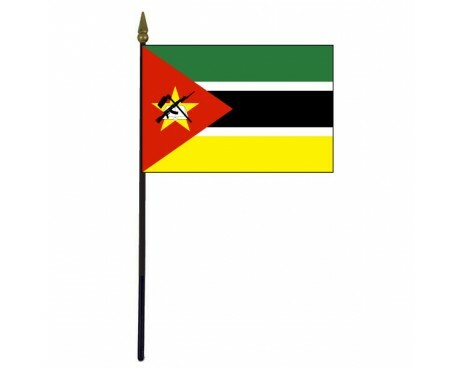 The flag of Mozambique is made up of three horizontal stripes of green, black, and yellow that are separated by white fimbriations and a red triangle that stretches out from the hoist. 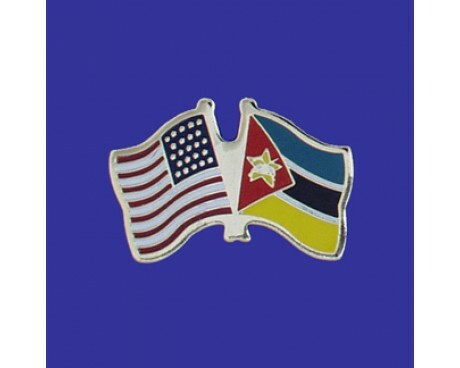 The triangle contains an unusually complex emblem that is made up of a crossed AK-47 and hoe that are placed over an open book in front of a yellow star. The green stripe on the flag stands for the wealth that comes from the nation's land, while the black stripe represents Africa and its people and the yellow stripe represents the country's mineral reserves. The white fimbriations are included in order to represent peace. The red triangle represents the blood of the nation's people that they shed during their fight for independence. The AK-47 represents vigilance and the defense of the nation, the hoe represents the country's agriculture, and the open book represents the importance of education in the country. The star is a symbol of Marxism and solidarity with the other nations of the world. Every Mozambique flag for sale is descended from the design that the nation adopted in 1974 in honor of its independence. The nation used the Portuguese flag during the colonial period, but that flag has had very little influence on the modern design. The flag of 1974 resembled the modern flag, but it did not include an emblem. The flag's stripes were rotated and their proportions were changed such that they emanated from the upper-hoist corner of the flag in 1975, and a precursor to the modern emblem was added at the same time. The design changed once again in 1983 due to political changes in the nation. The new design was used a different emblem than the current flag, but it was otherwise identical. The modern flag came into use a few months later and has been used ever since without any changes in spite of some local efforts to amend the design.